Located inside the Wynn Las Vegas Hotel, the Wynn Esplanade is an upscale shopping gallery with more than 10 businesses. Designer handbags, shoes, apparel and jewellery are sold in this elegant retail hub that has strong European influence. Marble walls, vaulted ceilings, colourful floor carpets and pastel columns highlight the lavish interior design of this esplanade. Additionally, the Intrigue nightclub and Parasol lounge are conveniently located near the high-end shops. The Wynn Esplanade consists of a single hallway that's lined with stores that carry some of the world's most renowned designer brands. As you enter through the Main Entrance or South Entrance of the hotel, you'll first see the Dior and Chanel labels. You'll find a stunning collection of premium watches at Cartier, Watches of Switzerland and Rolex. Fashionable accessories and apparel are on sale at the Prada, Louis Vuitton, Dior and Chloe shops. Chopard and Graff boast a beautiful collection of brilliant jewellery for guys and gals. Gentlemen could buy suits and other elegant Italian-designed apparel at Brioni and Bijan Designer. If you don't prefer a particular brand for accessories and clothing, check out the diverse selection at the Wynn Collection. The legendary style of Paris comes to life at the Givenchy boutique. Some other retailers that are based in this luxurious shopping gallery include Salvatore Ferragamo and Moncler. All of the high-end businesses are staffed by salespeople with extensive knowledge of fashion, jewellery and other relevant niches that cater to sophisticated shoppers. A modern lounge with an upscale setting, Parasol Down is located near the Wynn Esplanade. Bartenders at this venue are ready to customize your order of signature cocktails. Parasol Down also serves small plates with modern American, European and Asian influences. A 40-foot waterfall gently cascades in the lower level of this stunning lounge. If you're looking for a more intimate setting, head to Parasol Up. This section of the club overlooks the Lake of Dreams and casino floor of the Wynn Las Vegas. Covering more than 14,000 sq feet, Intrigue is a chic nightclub that's located just steps away from the shops. The world's leading DJs spin their latest mixes in this trendy spot that stays open well past midnight. Some of the club's top amenities include VIP lounges with plus seating, spacious dance floors and state-of-the-art sound systems with special optical effects. The Wynn Esplanade is located at the corner of Las Vegas Boulevard and Sands Avenue. Public transportation is readily available to this shopping centre that's nested inside the Wynn Resort on the Las Vegas Strip. The Regional Transportation Commission (RTC) is in charge of several bus routes that stop at various points on this busy stretch of Las Vegas. For example, the SDX and DEUCE lines offer express service between the Strip and Downtown Las Vegas. The 119, 203 and CX routes also take passengers to this shopping destination. 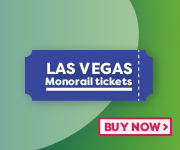 Running on tracks above busy streets, the Las Vegas Monorail is another public transit option that's available to the stores. The Harrah's & LINQ stop is located a few blocks south of the Wynn Hotel. Taxis, Uber cars and other private vehicles for hire should drop off and pick up shoppers at the South Gate or Main Gate. Available for the property's reserved guests and visitors at hourly rates, the Wynn Self Park Garage is located close to the shops. Additional parking is located at the Encore Self Park Garage on Wynn Boulevard.